Effortlessly glide to all your must-see sites with an experienced DC-licensed tour guide. We are conveniently located between H & Eye Street at 818 Connecticut NW around the corner from the Farragut West Metro, half a block from the White House. The 818 Conn Ave Garage is directly next to Capital Segway. 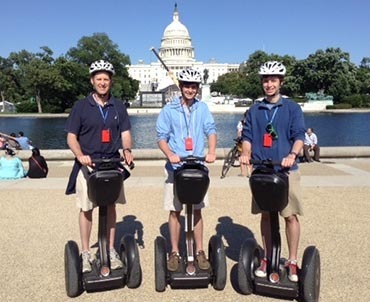 “Would recommend this to anyone who goes to DC"
Capital Segway offers the only Segway® Personal Transporter (PT) Authorized tour of Washington, DC. 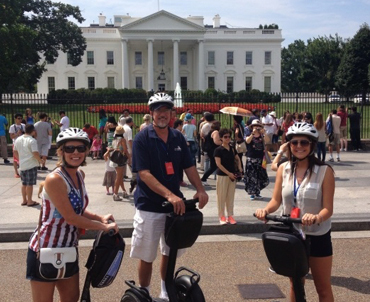 Sightseeing on our guided Segway® PT Tours French & German tours available on request! 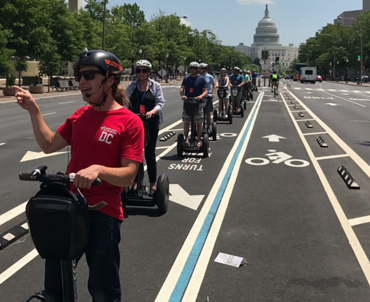 It is a unique and fun way to get to know the nation’s capital. You will glide around the streets in style on one of our state-of-the-art Segway PTs. All tours begin with a short training session where we will teach you how to ride a Segway PT. And then it’s off to the streets! Your knowledgeable tour guide will lead you through the city on your Segway PT adventure! By riding on a Segway PT, you’ll be able to cover three times as much ground as walking! And unlike a bus tour of Washington, DC, we give you the opportunity to enjoy the fresh air and explore the history and architecture of DC at a leisurely pace. All riders will receive a headset to clearly hear the guide. Roll with us for one of the most fun things to do in DC – see several of the city’s most famous landmarks, including the White House, Botanical Gardens, National Archives, Smithsonian, the Washington Monument, FBI Building, Newseum, Capitol Building and the Canadian Embassy. Don’t forget to bring the camera! There will be exceptional photo opportunities as we ride by the historic monuments and memorials of the National Mall, Constitutional Gardens, and Farragut Square. Join us for an evening tour and catch the sunset on the Potomac River or experience the city by night to see your favorite buildings lit up! 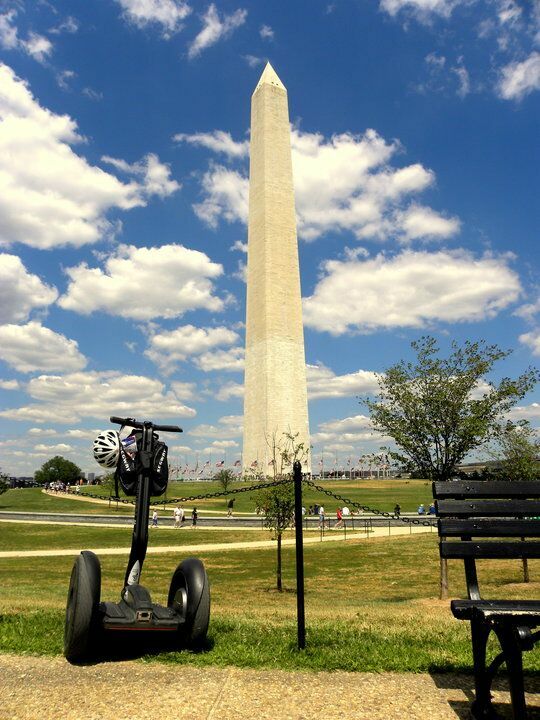 In addition to Washington Segway tours, Capital Segway is the Authorized Segway PT dealership in Washington, DC. Capital Segway sales include local and national police and government agencies, businesses, golf courses, security companies, as well as individuals looking for a fast, convenient, and easy way to get around the nation’s most Segway PT friendly city. You can even use the unique visibility of these vehicles as a way to promote and market your business! Visit us today to learn more about Segway PT and to see how having a Segway PT in Washington, DC can help you start living smarter.